What to do with income for the income year in which the trust vests? What happens if trust has vested but discovered late? Are there circumstances where trust vesting can be delayed? Patrick Ellwood is a co-founder and Consultant of View Legal, having previously spent eight years at a national law firm. 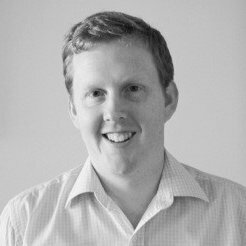 Patrick specialises in helping business owners through transition, focussing on tax effective restructuring, asset protection and succession. The family-owned businesses he works for range from large-scale retail operators to farming families and mining entrepreneurs. Patrick is passionate about helping his clients grow their business and achieve maximum value upon their retirement. He has assisted clients with exit strategies including sales to ASX listed companies, staged transitions to the next generation of family members and management buy-outs. He is a trusted adviser to many of his clients and assists with both their personal and business legal needs. Patrick is a regular author and speaker across a range of private and professional bodies.